Looking for ways to enhance your child’s gross motor skills? Here’s your answer! Gross motor skills which involve the large muscles of the body enable a person to walk, kick, lift, balance, roll… Gross motor functions are connected with other areas such as fine motor skills. A person that has trouble with his gross motor skills will most likely have difficulty with writing. Additionally, a child with weak gross motor skills may have problems in school as well. The earlier you treat these problems, the easier it will be. bObles, a manufacturing company of children’s toys was created to fill the void of quality furniture for children, which appealed to play, creativity and physical exercise . 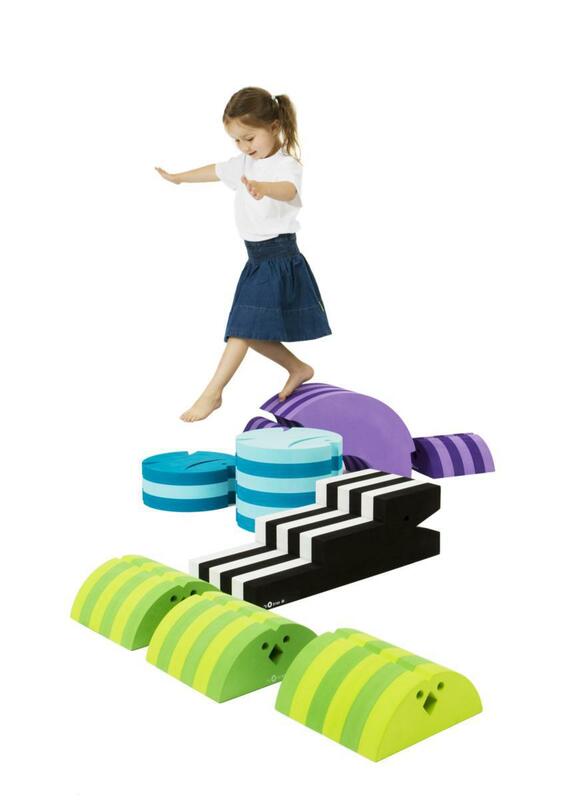 The great thing about the bObles products is that you can enhance your children’s motor skills while playing! They are so much fun to play with that your children will want to cooperate with what is asked of them. There are also endless amounts of ideas of what you can do with each product. For example, the Tumbling Elephant can be used to: practice balance, it has a rocking function where the child is challenged while sitting, it’s great to lie on; flat on the stomach and back, and last but not least it is a great chair to sit on! Finding the many ways to interact with the pieces helps kids of all ages develop motor skills while igniting their imagination. The Tumbling Whale challenges the core stability and it has a rocking function where the child is challenged and stimulated while sitting. Your child can tumble, roll, balance, seesaw, rock, jump and gain some bodily experience, which can serve as the foundation for further development. The Tumbling Crocodile is the perfect baby starter set. It can be great for tummy time and at the same time it’s a great step stool in the bathroom! It can be used as a staircase, which enhances the strength and balance of the child. When used as a balance beam the child can practice eye foot coordination and the idea of boundaries to understand where something begins and ends, so you don’t lose balance or step off an edge and fall! When turned upside down you have an angled surface – the see saw function appears when the crocodile is placed on its back and the child can walk/lie on its entire straight surface. The crocodile is also amazing for tummy time – due to the soft material and elevated position most babies will even enjoy tummy time! All in all, children can play with these toys for hours, which also helps build on focusing and attention span, skills so important for all areas of life. Let your child lead the way as he opens up a world of fun. My kids are older now, but I sure would have loved these when they were little. My oldest had some gross motor delays and my younger two were quite active. Age appropriate toys would have been much preferred to the (horror) personal size trampoline we used. I like how “organic” these toys look. Those are really neat! They’re almost like the ones at Gymboree. Wish those are available here too.